Sherry will be working with Bill Cho from the national club on operational procedures for the new WordPress website. 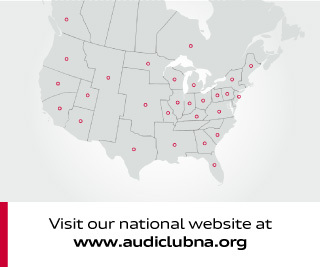 The new web address is hhttps://audiclubna.org/kentucky/ By the first of February 2019 the club will be posting events and news on the new site. We will continue using the old site too until support ends from the national office. No changes regarding our Facebook page and Audi Club Kentucky Community page. I first posted the Club Meeting and Dinner date as 1/22/19. My mistake. That's Daytona week. The new date is Tuesday 1/15/19. Please make note. After meeting with the powers to be last night during the national club telephone conference that our new website will finally be up and running by this Friday 12/7/18. The current ING platform will be removed and the new WordPress platform will be installed. Looks like 99% of our history data will be preserved. Sherry Mays will be the new temporary web-administrator. Sherry will work with Bill Cho to get the system operating smoothly. 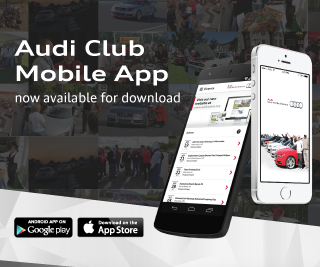 The Audi Club-Kentucky's website will be changing by the end of October 2018. The National office should be going live with our new site around 10/30/18 to 11/2/18. We may loose some content in the transition. Will post more updates as they become available. New Club Meeting location for August 2018. We will meet at Abuelo's Mexican Restaurant located at the Crestview Hills Town Center 2833 Dixie Hwy Crestview Hills, KY 41017. We have changed the meeting date for July because so many people will be out the third Tuesday of July. The new meeting date is July 10, 2018. We have ben at Betta's Italian Oven for the last 4 months. They were great, the food was terrific. The new location is Laszlo's Iron Skillet Restaurant, 1020 Ohio Pike, Cincinnati, OH 45245. 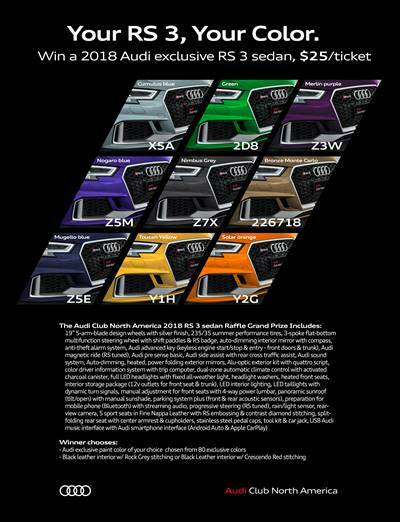 If you would to join the Audi Club of Kentucky and Ohio Valley Audi Club at Mid-Ohio this May 5-6 2018, better hurry. We only have 20 tickets left. Children under 12 admitted free. Our parade lap will be held late Saturday afternoon. Driver and Car $210 and companion ticket $140. The Leprechaun Run Road Rally xii, Benefiting the League for Animal Welfare a no kill animal shelter. Is this month. TIME: 1:00pm to 6:00pm Please arrive about one (1) hour before start time. COST: $25 per car. The registration fee is tax deductible. 2018 will be the most ambitious event schedule is recent club history. It should be a lot of fun and keep's us out of trouble. Some dates are fixed some are still fluid but the events are pretty much set. 1. Shop Tour at noon set up by Kurt Niemeyer's group Sports Car Preservation Group. WHEN: March 01 2018 at Noon. WHERE: European Auto Specialist on Sycamore Ave in Blue Ash. The Club is trying a new place for our meeting and dinner. The Hi Mark 3229 Riverside Drive, Cincinnati, OH. NOT LUCY"S ON MONMOUTH as previously posted. The Audi cabal has spoken. Tim Mays, President, Justin Scarberry, Vice President and Bud Dannemiller unofficial Sec/Treas. This is in effect as of 1/1/18. The club plans on full elections for 2019. Also, Justin Scarberry and his wife Shana have been nominated for members of the year. Congratulations to Justin and Shana. The Club's new mailing address is PO Box 76062 Highland Heights, KY 41076. A NEW LOCATION FOR THE NOVEMBER CLUB MEETING AND DINNER!! Lucy's on Monmouth, 1004 Monmouth Street Newport, KY 41071. Let's try a new place for a few meetings, then maybe look at another venue. The food is very good and a large craft beer and wine selection. Hope you can make it. Thanks to all of the club members who came out for the Reunion. Once again we had a very nice group of cars for the show. The following were the award winners. Best 5 Audi's: Justin Scarberry 2014 SQ5, Bud Dannemiller 2008 TT 3.2, Edwin Dowhor 2011 S4, Jason Burgin 2004 A6 4.2 and Chase Jones 2014 A4 S-Line. Another big THANK YOU to Butch Highlands at The Audi Connection and Bill Winstel at Porsche Kings Auto Mall.